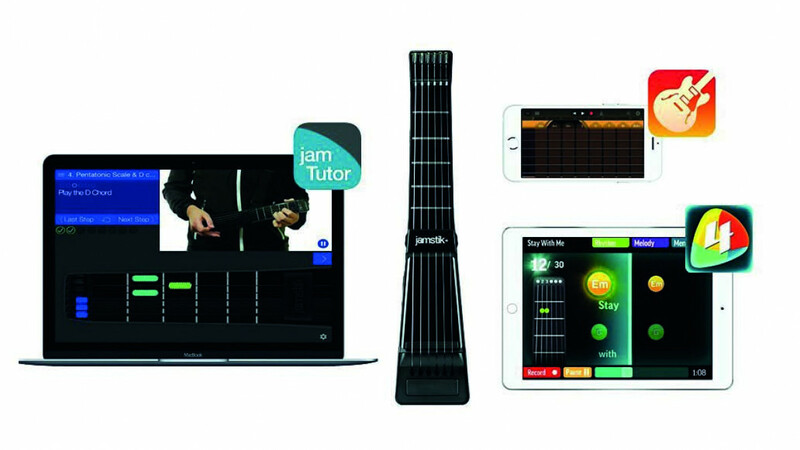 The Portable Smart Guitar works wirelessly with your smartphone and specially designed apps to teach you how to play the guitar. If you would like to learn but don't have much time you can easily us this set up to practice when you have free time unexpectedly. It is compatible with iphones, ipads and some android devices. Great if you are someone who travels a lot and it features real string and frets so that you can easily use the skills you have learned to play a real guitar.